following the teaser single “Time For Bedlam”. 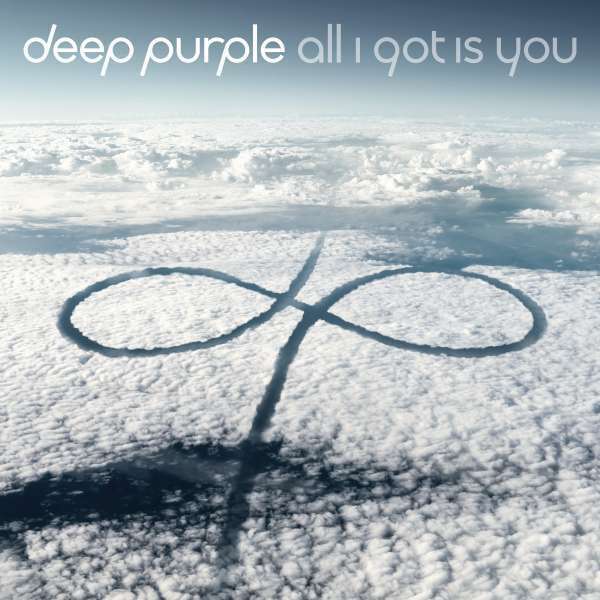 Being released as limited edition EP in high quality digipak as well as limited 12” maxi vinyl, “All I Got Is You” captures the purest Purple classic sound while staying well away from the temptation to be nostalgic or to “play themselves”. In 4 ½ minutes, the catchy tune remind of 70s Deep Purple and sounds both heavy and delicate thanks to the roaring guitar Steve Morse plays like no other and the classic Hammond-organ-sound by virtuosic Don Airey. Ian Gillan’s voice sounds free from any conventions, expectations and dictations as he delivers a versatile and exciting vocal performance. The strictly limited single release is peppered with three previously unreleased songs which are exclusive to both the EP and vinyl. A beautiful guitar tune by Steve Morse, “Steve’s Folk Tune”, is followed by the beautiful instrumental version of “NOW What? !’s” “Above And Beyond”. Fans will be able to catch an exclusive glimpse of the “inFinite” album recording session with the first recording take of “Time For Bedlam”- what a treat! Deep Purple’s energetic live performance of the classic “Highway Star”, recorded during the NOW What?! tour in Aalborg in 2013, shows the full force that is Deep Purple live.